This beautiful hand-stitched folder is a one-off most likely created by a young lady of leisure as a personal keepsake possibly for her billet-doux or her art collection. 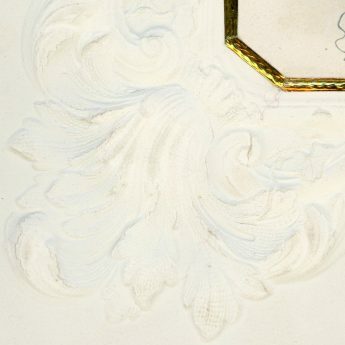 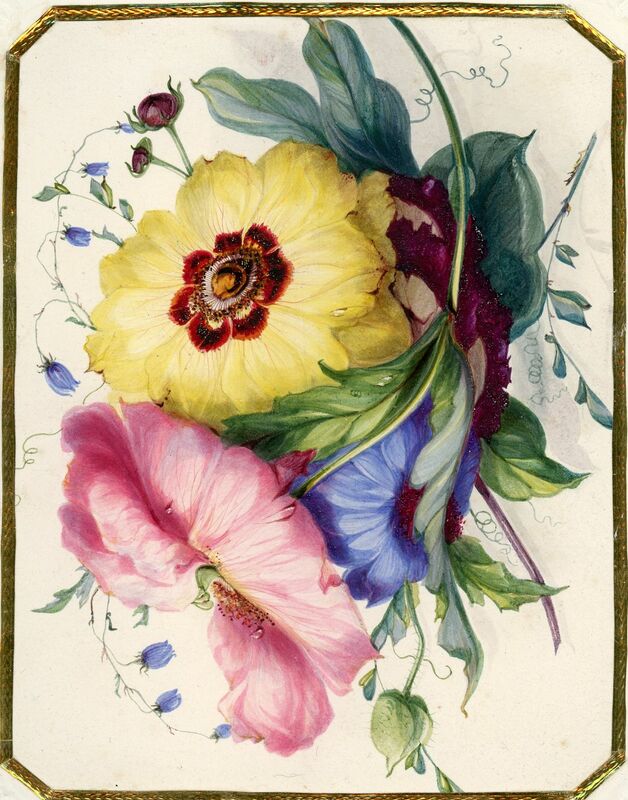 The off-white embossed card covers are edged with gold foil with watercolour paintings affixed to the central panels. 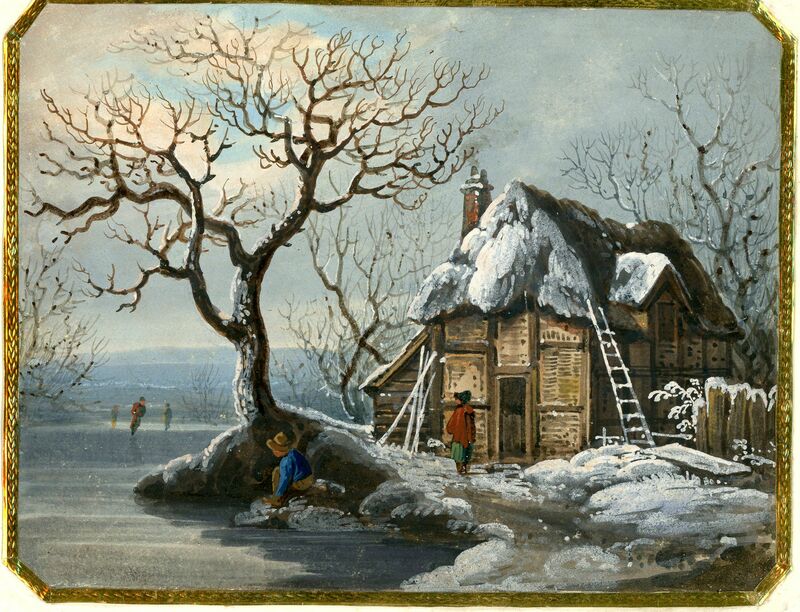 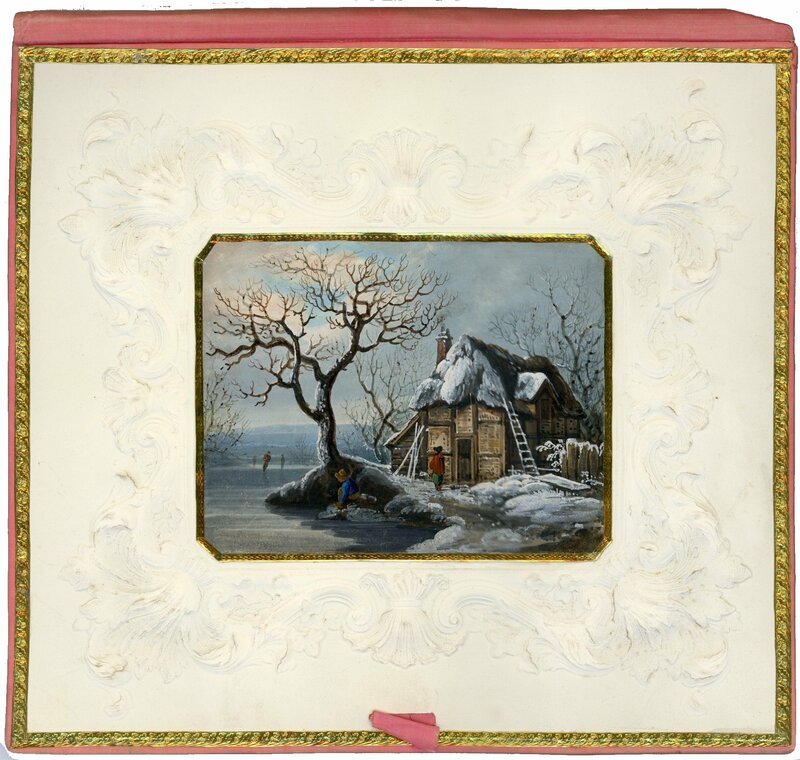 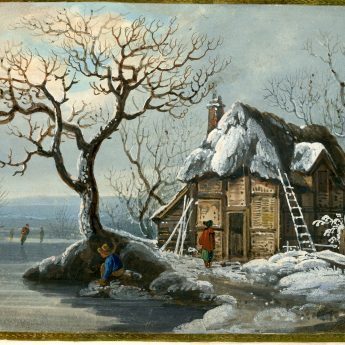 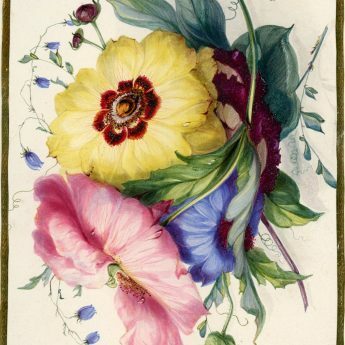 One side shows a wintry scene with a snow-covered cottage and figures skating whilst the other side has a summery display of colourful flowers. 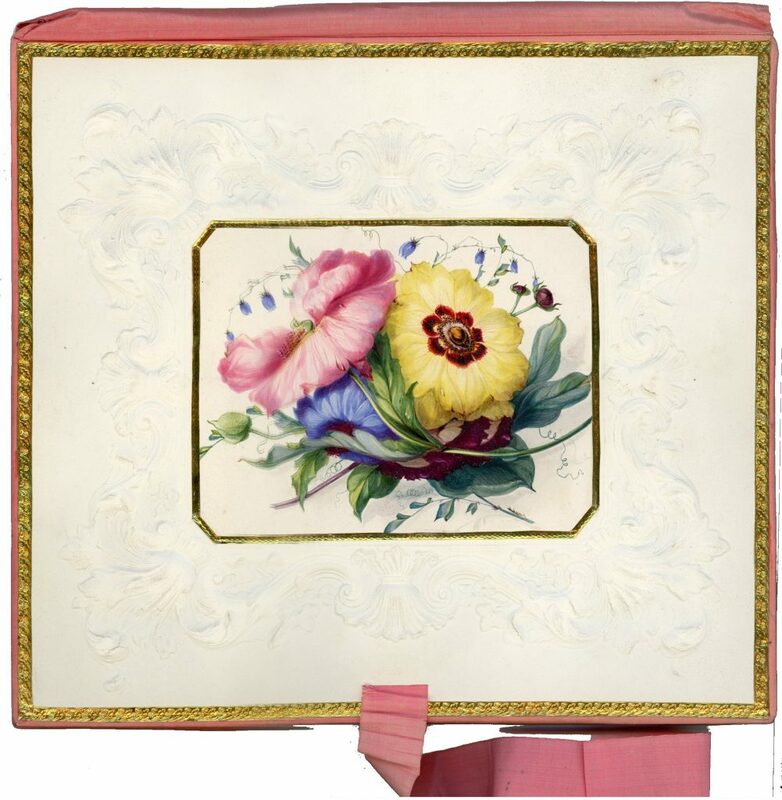 Inside the folder is padded and lined with coral-coloured silk giving it a sumptuousness. 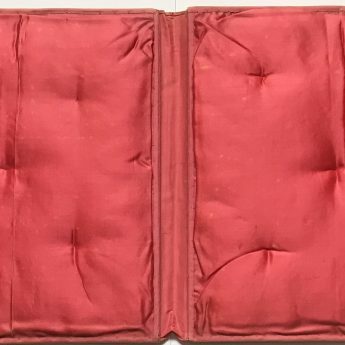 One of the ribbon ties is missing and there are a couple of very tiny rents to the satin inside but otherwise, the folder is beautifully clean and fresh. It has clearly been treasured and looked after for a long time.